Ideas and Debates in Family Law is written for family law students, at undergraduate level and beyond, who are looking for less orthodox ideas about family law. The book's first section looks at themes in family law, addressing challenges facing the family justice system, rights and responsibilities, and the internationalisation of the law regulating families. The second section is focused on adult relationships: it suggests new ways for the law to allocate legal consequences for families, debates the consequences of the 'contractualisation' of marriage, and explores the value of 'fairness' in family finances. The third section is about children, discussing the welfare principle, parental responsibility and practical parenting. Although these issues sound common enough in a family law book, the discussions found here are far from common. Useful by itself or alongside a textbook, Ideas and Debates in Family Law offers new and thought-provoking perspectives on family law issues. International Family Law: What Is It, and Where Did It Come From? What Counts as an Intimate Adult Relationship? Is Fairness A Helpful Standard? “The author expresses himself simply and clearly, in non-legalistic terms, making it ideal for the intended target audience of undergraduate students who are just starting to think more deeply about the concepts and theory behind the black letter law. 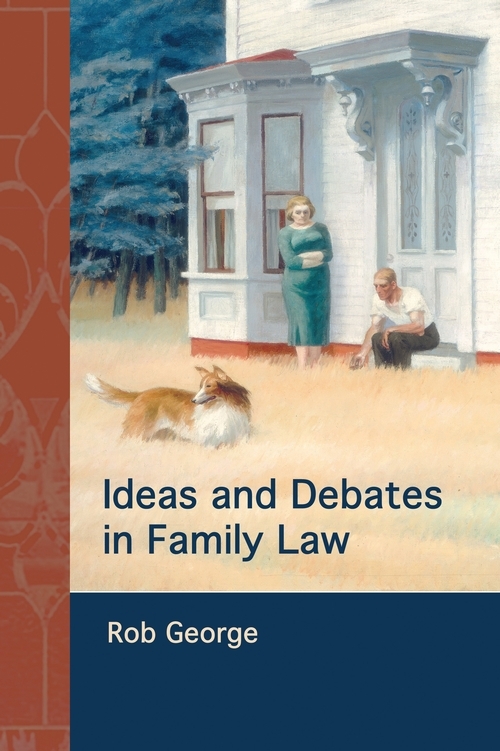 ...the strength of this book lies in its exploration of less orthodox ideas, offering new and at times controversial perspectives on some of the major concepts in family law. It encourages the reader to question the reasoning behind judicial decisions, and brings to light some of the less obvious assumptions that current family law is based on. “...for anyone interested in thinking about family law, this book provides an invaluable and thought provoking read. George captures and succinctly explains much of the modern debate about family law. As an academic with a practical bent, I found this book an engaging read; not just because it discusses a swag of topical and complex issues in modern family law, but also because George eschews the dry writing style that academia promotes. He makes complex ideas simple and keeps his writing style light...It is not possible for George to engage with all these ideas in detail, but that is not his aim. Perhaps the most important contribution this book makes – for academics, the judiciary and reform minded practitioners – is to remind us that there are different ways of thinking about family law and to provoke us into thinking more deeply about the underpinnings of family law. “...Ideas and Debates in Family Law is the latest addition to the ever-increasing body of family law literature available. It is, however, unlike most texts on the market and, although ostensibly a student text book, it offers much food for thought for any individual engaged with matters of family law. What makes Ideas and Debates in Family Law different is that it purports to be a 'book of questions, not a book of answers'. “This is an excellent small book, with eight superbly crafter chapters, that sets family law in its true context within society and the administration of justice. It can...certainly be recommended not only for students but for anyone with an interest in or involvement with the practice of family law. 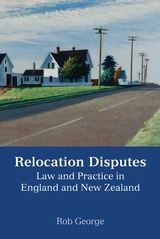 It is full of good sense on the limitations of mediation and shows a clear understanding of the main issues facing those practising family law and those proposing changes to law, practice and procedure. The blend of case-law, academic writing, research, creative thinking and imaginative layout (eg the use of boxes) make this an enjoyable book to read. “At first I begrudged it's lack of answers, muttered to myself that it was like being back in English literature / cultural studies lectures – but then I realised I was approaching it like I would a practitioner textbook. And I used to love my eng lit / cult studs lectures. Once I stepped back into the critical thinking mode of undergrad days long since past it was a joy. This book's aim is really a starting point or springboard for further study and thought – the book is comprehensively referenced and I'm left with a long list of other academic writing I want to read. “Ideas and Debates in Family Law sets out the key questions facing those who work on these matters whether as lawyers or social scientists, as practitioners or scholars…it will be a key tool in the hands of the next generation of students of family law and family policy, enabling them to ask tough questions, seek effective answers, and defend and develop that part of the legal system which protects the vulnerable and seeks fair outcomes for those engaged in family change or dispute.